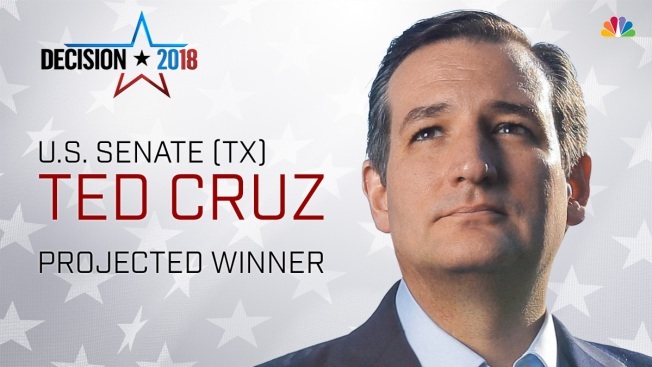 Republican Sen. Ted Cruz has fended off rising-star Democrat Beto O'Rourke to win re-election in a much-watched Texas Senate race. 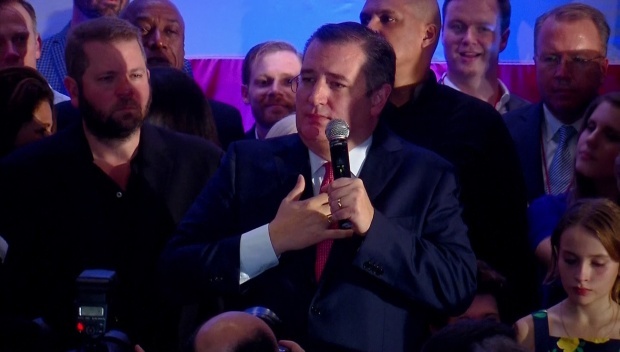 In his victory speech, Cruz said O'Rourke "worked tirelessly" and that millions of people across the state were "inspired by his campaign." Ted Cruz addressed supporters at an event after he was projected to win his race against challenger Beto O'Rourke, according to NBC News. Ultimately, he said, Texans came together behind "a common-sense agenda of low taxes, low regulations, and lots and lots of jobs." For 20 months, Democratic Congressman Beto O'Rourke crisscrossed the Lone Star State drumming up support for his campaign against junior Republican Sen. Ted Cruz. A passionate Beto O'Rourke addressed his supporters at an event in El Paso. On Monday, heading into Election Day, both Cruz and O'Rourke said they were feeling confident the outcome in the surprisingly tight race would be in their favor. "We are going to win," a confident Cruz declared in a rally in Pearland Monday morning. At a rally in Houston, O'Rourke said, "I feel good about what Texas is doing right now. I feel good about the decision that Texas is about to make." 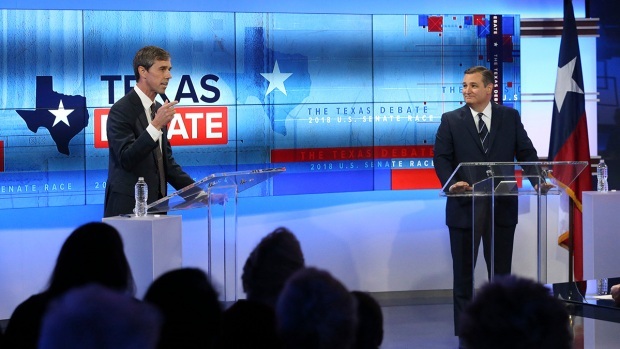 Incumbent U.S. Sen. Ted Cruz (R-TX) has been on a barnstorming tour through Texas during the last two weeks of the campaign, while his challenger, U.S. Rep. Beto O'Rourke, will look for high voter turnout to help propel him to victory, says NBC 5 political reporter Julie Fine. Republican Sen. Ted Cruz and Democratic Congressman Beto O'Rourke are working their way home at the end of one of the most closely watched races of the 2018 midterms. Cruz's last rally Monday is set for his hometown of Houston. 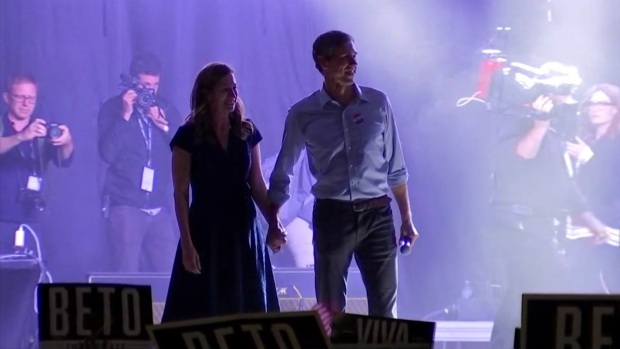 O'Rourke is heading home to El Paso to finish an underdog campaign that drew national attention. In recent weeks Cruz embarked on a two-week bus trip through Texas, making several stops a day to rally his constituents. During the same period, O'Rourke employed much of the same strategy he has all along, visiting as many Texans as he can in every corner of the state. Election Day, O'Rourke began the morning by casting his own ballot with his wife and three kids by his side. Throughout Election Day, he continued to visit polling locations around El Paso to turnout the last votes of the day. O'Rourke said the campaign will not stop until the polls close at 7 p.m., Mountain Standard Time. Speaking to reporters on Election Day, O'Rourke said, "We're going to be fiercely focused on the future and we're going to do this together." "We just do not care about the differences between us right now. We want all of us Republicans and Democrats and Independents alike to come together and do something great for this country," said O'Rourke. 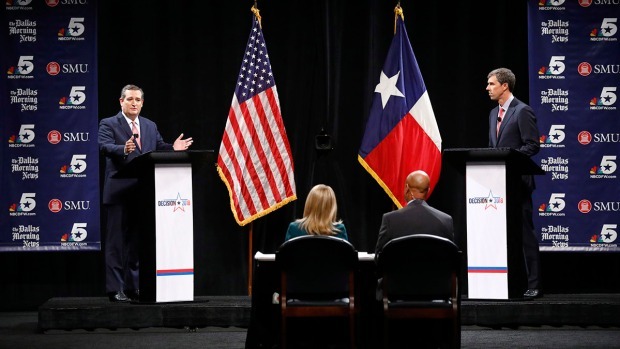 Along the way the candidates met for two debates, one hosted by NBC 5, SMU and The Dallas Morning News, and another hosted by KENS-TV in San Antonio. In both, the candidates clashed on a number of topics including abortion, the #MeToo movement, the nomination of Supreme Court Justice Brett Kavanaugh, immigration, the border wall proposition, gun control and health care. A third debate was canceled when it was believed the Senate may have been needed in Washington to vote on Kavanaugh's confirmation. In the final months leading up to Election Day, O'Rourke's fundraising reached more than $38 million through September; the challenger's warchest was estimated to be worth more than double that of Cruz. Still, most polling suggested Cruz maintained a slim lead of four to five points. Whatever the turnout on Election Day, it's unlikely to be the political end for either candidate. 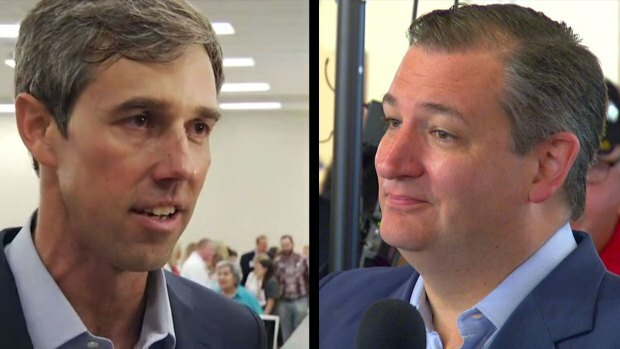 Cruz has made it clear he'd like to end up in the Oval Office after President Donald Trump leaves office and there's been speculation O'Rourke may be tapped to run for higher office even if he loses in Texas. After record early voting in Texas brought nearly 5 million people to the polls ahead of Election Day, it's unclear how many people will turn out to vote on Tuesday. The complete second debate between Senator Ted Cruz and challenger Beto O'Rourke on October 16 in San Antonio.